Can we “Believe” under Mackay? Mackay’s record makes sad reading: W1 D3 L10. Photo courtesy of Sky Sports. So said Malky Mackay after arguably the worst performance of a depressing season, a 3-0 loss at Nottingham Forest. Mackay had chosen a team with one change from that which lost against Bournemouth. Chris Herd came in for the injured Chris McCann. Billy McKay remained on the bench. Mackay clearly had a plan to smother Forest’s fire by playing ugly. With Leon Clarke playing a lone centre forward role there was clearly going to be little goal threat from Latics unless the midfield trio of Cowie, Kvist and Herd got up to support him. With all three being defence-minded players that was unlikely to happen. Somehow Latics scrapped it out for 33 minutes until Britt Assombalomba opened the scoring, heralding a disintegration of order within the Wigan side. The only surprise is that Forest scored only two more. One win in the last 16 league matches is the most dire of statistics. Moreover there is little likelihood of it changing soon as Mackay is likely to bring in more players who have never played together before, some of whom will be lacking match fitness as has been the case with Herd and Kim Bo Kyung in the past couple of games. The loss of Emyr Huws for the rest of the season is a hammer blow for Mackay. Moreover the absence of Chris McCann last night left him desperately short of midfield cover. Looking at the Wigan lineup before the game gave one a sense of foreboding. There just was not the talent in the starting eleven that we have become accustomed to over these years. The family silver was sold off and the side is now desperately short on quality. Mackay has signed in only two new players on permanent contracts, Billy McKay and Jason Pearce. Clarke – who has played for 14 clubs – and Herd are players whose contracts expire at the end of the season, coming to Wigan on loan, unlikely to be offered extensions by their parent clubs at the end of the season. Kim’s contract at Cardiff was cancelled, as was Gaetan Bong’s at Olympiakos. They are on short term deals until the end of the season. Harry Maguire and Sheyi Ojo are young players coming from Premier League clubs, the former having minimal experience of Championship football, tghe latter none. Ironically the two players who have been signed on permanent terms have been low on the totem pole. Pearce is yet to appear, despite the poor form showed by Leon Barnett, who now looks a mere shadow of the player he was a year ago. Mackay once again persisted in a back four of Perch, Barnett, Ridgewell and Taylor. One would have expected that that quartet would have built up some mutual understanding following several games as a unit, but the way Forest were able to slice them open suggests that was not the case. Mackay will be forced to change his back four in the next game at Reading, with Liam Ridgewell returning to Portland. Andrew Taylor is another whose form has been below par and he might well be replaced by Gaetan Bong. The most likely formation at Reading will be Perch, Pearce, Maguire and Bong. Not an ideal situation at this time of the season to have a new team of back four players. McKay sadly seems to be following in the footsteps of Andy Delort, having come on last night after 88 minutes, although he did play the full second half against Bournemouth. Despite scoring 10 goals in 23 Scottish Premier League games his manager does not deem him necessary in the starting lineup. Let’s hope he will be better treated at the club than the Frenchman, who is now back at Tours, the rumours being that Latics continue to pay his wages. Both Kim and Herd arrived at the club short of match fitness. Kim played the first 45 minutes on Saturday and only 9 minutes more last night. Herd’s stats are 59 minutes and 63 minutes respectively. Putting in unfit players when the team is struggling is hardly ideal. However, with an absence of technically skilled players in the squad Mackay probably felt Kim was worth the risk. Ojo showed his skills on Saturday, but is unproven at this level. Can he put those skills into effect over a whole game? Mackay was forced to play Herd at right back against Bournemouth in the absence of Perch. Last night he was pushed in to shore up the midfield. In the days of Roberto Martinez the “Believe” motto became the standard that raised the team into achieving against the odds. The manager himself had clear belief in his players and they responded on the pitch. Under Mackay “believing” is much harder for us fans. His record up to this point as Latics manager is unbelievably bad. Will Dave Whelan pull the plug and bring in someone else to try to salvage the season, or is he already resigned to the club being in League 1 next year? The likelihood is that Mackay will stay at least until the end of the season. He has come in as a hatchet man, chopping away at the squad, but he has not been allowed to bring in hordes of new players on long term contracts. If Mackay stays next season, albeit in League 1, what can we expect? The Scot is clearly a better manager than his results at Wigan suggest. His record at both Watford and Cardiff stands close scrutiny in terms of team performances. However, his teams have not been known for their entertainment value. Attendances will plummet, but the club will be cushioned by a continuing parachute payment of some £9 million. The pragmatists would continue to support him providing he got the results good enough to bring the club back upmto the Championship. If the results did not come then his situation woukd become untenable. it is a bleak near future that lies ahead for Wigan Athletic. Will we ever get back to the point where we can “believe” again? He is among the most eloquent of footballers, a real professional and an inspiration in Wigan Athletic’s fight against relegation. William Kvist finally got the recognition he deserved on Saturday, when he was named captain of the team that lined up against league leaders Bournemouth. But why did it take so long for Kvist to get a regular place in the starting lineup? What was in the minds of managers Uwe Rosler and Malky Mackay in leaving him out for so long? The Denmark captain has played in the Bundesliga and the Premier League, let alone making 53 appearances for his country over the past eight years. The cynics might say that Mackay has brought the Dane in from the cold mainly because of his ability to launch long throws. But Kvist is much more than that. He brings stability to a midfield that had struggled to maintain possession. You will invariably see him as the last man in front of the back four, strong in the tackle and his reading of the game allowing him to make important interceptions. Kvist is not the kind of player who will play box-to-box and it is rare that he scores a goal. He keeps things simple, organizing the midfield from behind, rarely wasting the ball. Kvist has been part of the rollercoaster ride that has characterized Wigan Athletic’s season. His signing at the end of the summer transfer window was overshadowed by those of Andy Delort and Adam Forshaw, plus the announcement of Emyr Huws being signed on a permanent basis. However, it looked like Rosler had done a good job in the transfer market and hopes of promotion were once again on the table. Five months on and Latics are in a dire situation. Second from bottom and seven points adrift of safety. Many fans blame Rosler’s signings for what has happened. After all, last season’s team was good enough to reach the FA Cup semi-final and the Championship playoffs. Surely it was the arrival of Rosler’s new men that brought the club down? There may well be some truth in their assertion. Rosler had inherited players from the Martinez and Coyle eras, who had adopted his “high pressing” philosophy to some degree. Latics took a lot of teams by surprise last season by that tactic, even if they weren’t able to hold it for more than the first thirty minutes in most games. It was often enough to get ahead in the first half and hold on to that lead by the skin of their teeth. But it produced results, at least until the other teams got wise to it. Ironically Rosler brought in ten players of his own, but neither they nor the others seemed willing to buy into the high pressing approach. In the absence of high pressing there was little else remaining as Latics were then lacking a consistency in approach. Bouts of nervy defenders playing the ball across the back were interceded by hoofs from the goalkeeper to the lone front man. Sadly Rosler’s new men did not appear to be supporting him on the field. Many of those from previous managerial regimes at Wigan certainly weren’t. Many of those fans who blame Latics’ current demise on Rosler’s signings will say that most of them simply were not good enough. Delort, Forshaw, Oriol Riera and James Tavernier have all gone, having been unable to establish themselves in the starting lineup. Huws is out injured for the rest of the season. Aaron Taylor-Sinclair has been injured for some time and it looks like he is now way down on the totem pole with the arrival of Gaetan Bong. Martyn Waghorn has been only on the fringes, despite having made a good impression last season. But Andrew Taylor has started in 25 of the 29 league matches this season, and Don Cowie in 21. The cynics will say that the two are automatic choices for Mackay, having played under him at Cardiff and Watford. Neither has a high popularity rating with the DW crowd. That is not the case with William Kvist. His recent all-action performances, together with his leadership skills and positivity about Latics getting out of their current predicament, are making him into the kind of player that fans really appreciate. If Latics do avoid relegation then they would do well in securing a contract extension for the Dane, who clearly has much to offer. At this point in time he looks like the best of Rosler’s signings. Kvist is back – but for how long? Can Malky’s new players gel in time? 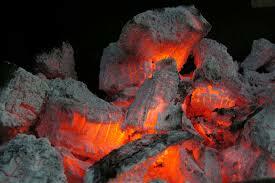 The flames of Malky’s fire sale have now subsided. Only the embers remain of the most successful era in Wigan Athletic history. Is there method in this apparent madness in selling off the family silver? Does Mackay know what he is doing? In what direction is the club heading? 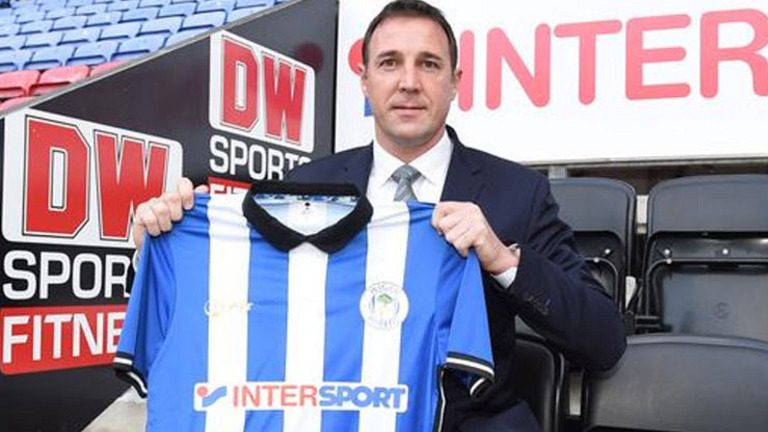 Malky Mackay may well be the least popular manager in Wigan Athletic’s history. But perhaps only someone with ratings so low would be willing to withstand the ire of the fans by selling off the club’s most talented players. Did Dave Whelan bring him in as the axe man, ready to chop away the dead wood, so that new and stronger roots could start up? Is that why he has seemed relatively unconcerned about the awful results during his tenure? Is he at Wigan for the long haul, come what may? The club is at its lowest ebb for decades. There is no doubt that we will be seeing a new reality over the next couple of years. Gone are the glory days of entertaining the rich and famous clubs of English football. Moreover it looks like we can also forget about attacking football. Mackay’s teams have been built on defence and resilience, unattractive but effective. But even that would be an improvement on what we have seen these past months. Over the transfer window Latics lost ten players, four of whom played in the FA Cup Final. Only one of those heroes now remains – the 35 year old Emmerson Boyce. Mackay was not fully able to stick with his plan of recruiting “hungry British players”. He did manage to get Leon Clarke, Billy McKay, Sheyi Ojo, Jason Pearce and Liam Ridgewell. But he also signed Cameroonian Gaetan Bong and Australian Chris Herd, with Korean Kim Bo-Kyung seemingly about to become the eighth new player. One of the concerns under Uwe Rosler was that a squad of 30+ players was too big. Most of us expected a considerable slim down in squad size. In fact with Juan Carlos Garcia coming back from an unsuccessful loan period at CD Tenerife the squad has not shrunk much at all. Granted Latics have shed many of their highest wage earners, but the current squad certainly looks much lower on quality, if not in quantity. Some fans would say that Uwe Rosler made appalling signings and put Latics into the situation they are in at the moment. Others would say that the players he signed had genuine potential, but they could not adapt quickly enough and never reached the levels expected. Then again, it could be argued that they were not well handled and that led to their demise. Typical of football managers, Rosler wanted to bring in his own men. He went on to sign ten on permanent contracts. That made the squad large, with inevitable problems. His demise was precipitated by those players not gelling in the squad. To be fair on Rosler, he had taken over players who had been recruited by managers whose preferred style of play was diametrically opposed. He did well last season to keep some kind of harmony between the ex-Premier League players of the Martinez era and the mish-mash of quality players and journeymen brought in by Owen Coyle. But bringing in his own men added an extra dimension of complication that eventually was to become insurmountable. Now Mackay is trying to do the same. However, unpopular though he might be, Mackay has had the blessing of the majority of fans in making major changes in the playing staff. Put simply, players on fat contracts just had not performed as they should. It has given him carte blanche to cull the legends of the Martinez era, something Coyle was unable to do. The acid test remains for Mackay. There are 18 matches remaining for Latics to salvage a season where promotion was once a realistic possibility. Relegation looms. Fans will back Mackay in bringing in new men, “refreshing the squad”, in his vernacular. Given the woeful lack of commitment by the players over the course of the season, it has been looked on as necessary. However, in the process he has lost most of the creative talent that was there. However, he could say that those players were not being effective and his new charges may be less talented, but can achieve more. Frankly speaking, some of the players brought in by Mackay during this transfer window would not have been signed in previous eras. Expectations have been lowered. However, he now faces the problem that Rosler had. That is “bedding in” of his new players. With only 18 games left that is a major issue. That is something that Wigan Athletic followers know all too well. It is only some twenty months since that euphoric experience at Wembley. But it seems like light years away now. But life goes on. What happened to the players who were in that famous lineup and where are Wigan Athletic heading now? That wonderful FA Cup final winning team is now all but gone, only 20 months after that wonderfully heady day at Wembley. It was always a matter of time, but circumstances have accelerated the process. The news of Ben Watson’s impending departure to Watford was a shock for most of us. In our heart of hearts we knew that Shaun Maloney would soon be on his way and it is no surprise to see the club trying to cash in on Callum McManaman, but the Watson case was a bolt out of the blue. There has been talk about building a Ben Watson statue outside the DW Stadium. One assumes it would show him hanging in mid-air as the ball leaves his head to go into Joe Hart’s net. But the statue would represent much more than a great header from the admirable Watson. The header helped them deservedly win that cup and it was the pinnacle of Wigan Athletic’s success. In all likelihood it will never happen again. The team that beat Manchester City at Wembley is etched into the memory of Latics fans. The names of each player roll off the tongue with ease. But how many will still be at the club at the end of this season? Not many one would say. It did not take long for Roberto Martinez to take Antolin Alcaraz, Arouna Kone, James McCarthy and Joel Robles. Add to that the retirement of the charismatic Paul Scharner. However, at the start of last season the majority of the FA Cup winning side were still at the club, together with others who missed the final through injury. At the end of last season we saw the departure of the free agents. Jordi Gomez went to Sunderland, and the underrated Jean Beausejour, who missed the Cup final through injury, went back to Chile. What was to prove the hammer blow for Uwe Rosler was to lose the admirable James McArthur to Crystal Palace. Since Malky Mackay has arrived we have seen Emmerson Boyce descend to the bench. Roger Espinoza has gone back to the United States, where it looks like Shaun Maloney is also heading. The exciting, if frustrating, Callum McManaman is clearly on his way too, albeit with a cash fillip for Mackay. That famous team has been dismantled. So too have many of the expectations associated with them. In fact expectations have fallen so low that avoiding relegation from the Championship would be largely viewed as positive. Like it or lump it, the Mackay era is upon us. The Scot has not had an easy time, given the pressure on him from the FA and the media. His record at Wigan so far beggars belief, a woeful tally. But Mackay is now going to have something that neither Owen Coyle not Uwe Rosler ever had. That is a lower expectation from fans and dealing with the egos of players who were FA Cup winners. Latics are no longer going to live in the past. The question is how long will it take for Mackay to turn it around?